So here it is...it took me about two hours on Saturday afternoon and by the end of it I was covered in hot glue and feathers. This is the fascinator I made V for the upcoming bridal shower she's attending in October. The idea was to do this post as a tutorial, but since I'd never made a fascinator before the whole project was trial and error and the process completely un- photogenic. However, I will tell you that I started with feathers as my inspiration and I knew from the beginning that they would be the focal point of the piece. 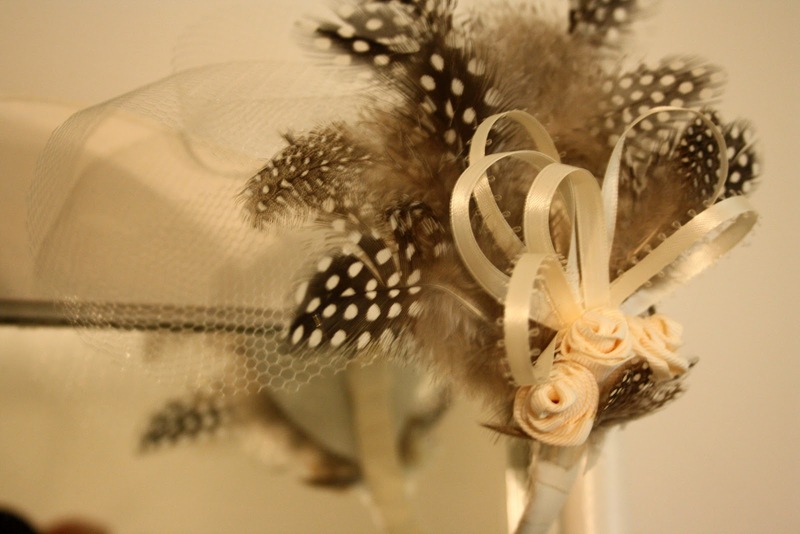 My only tip when making your own fascinator is don't be afraid to try out different things, and it's okay if the finished product isn't exactly what you expected! If you have any questions on how I made mine or any materials that I used feel free to comment below or email us at oncrawfordst@gmail.com! PS. Look forward to our upcoming Style post where V will sport her newest one of a kind accessory!